2 Bedroom Terraced House For Sale in Luton for Offers Over £200,000. 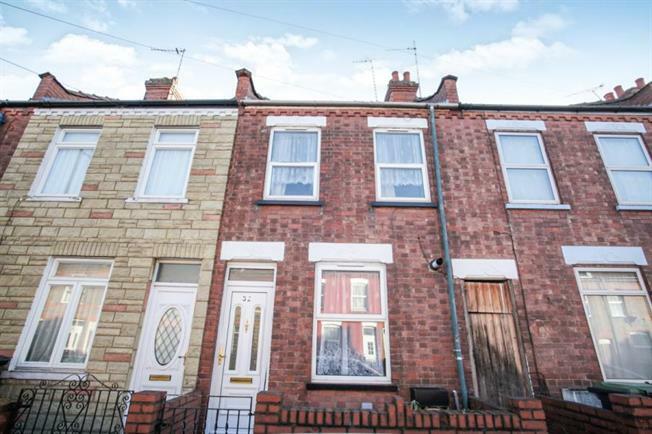 This traditional terraced property is offered chain free and is presented in excellent condition. Located in the popular Dallow road area close to Luton mainline station, town centre, bus routes and the M1within a short drive away this could be ideal for a first time buy or buy to let investment. Internally the property comprises of a front living room, separate dining room, modern kitchen with space for all appliances, bathroom and two large double bedrooms. Heating is efficient and economical via gas to radiators whilst the windows are double glazed. Externally there is a garden to the rear. Via double glazed door, fitted carpet, wall mounted radiator, double glazed window to front aspect, two storage cupboards, one housing electric meter other housing gas meter and gas boiler. Fitted carpet and stairs to first floor. Fitted carpet, under stairs storage cupboard, double glazed window to the rear aspect and wall mounted radiator. Tiled effect floor, range of wall and base units with roll top work surfaces, stainless steel sink with mixer tap over and tiled splash back area, fitted cooker, fitted hob, fitted extractor hood, wall mounted radiator, room and plumbing for washing machine and double glazed door and window to the side aspect. Tiled effect floor, low flush WC panel bath with mixer tap and shower attachment, pedestal sink, wall mounted radiator, fully tiled walls, double glazed frosted window to the rear aspect and wall mounted extractor fan. Fitted carpet and doors to bedroom one and two. Fitted carpet, wall mounted radiator, two double glazed window to the front aspect and storage cupboard. Fitted carpet, wall mounted radiator, fitted wardrobes and double glazed window to the rear aspect. Hard standing with dwarf brick wall. Mainly laid to lawn with a hard standing patio area, wooden built shed and enclosed by wooden panel fencing.